This unique caricature photo frame is ideal for decorating your living room and recollecting fond memories of your togetherness with your partner. The artist depicts the couple_s picture animatedly which is instantly likeable. Do you want to decorate your bedroom uniquely? If yes, then all you need is this beautiful caricature. The couple standing so close depicts their love towards each other in a beautiful way. Furthermore, there is a romantic touch added to the environment by the gorgeous sunlight. The words can۪t express the love illustrated in this photo frame. If you want to express your love most originally, then why don۪t you buy this unique caricature? It will look beautiful in your bedroom and give romantic vibes on a constant basis. 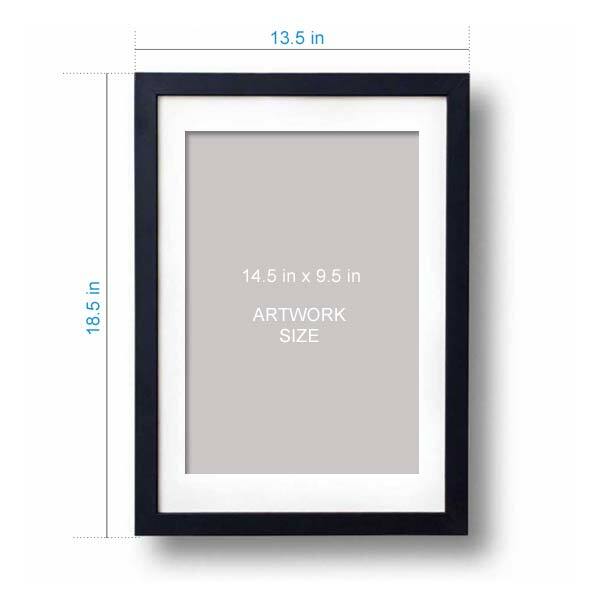 This frame is also a fun loving method for capturing some of your memorable moments spent together. A funky and cool portrait like this is a trendy way of decorating your living room and let the world how much you mean to each other. Never be shy to show off your fairy tale romance to the world.